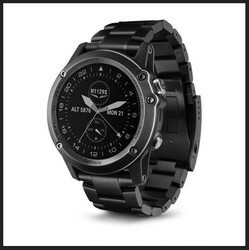 We are unique supplier of Garmin Sports Watch. We are dealing in Garmin Sports Watch. We are supplier of Garmin Sports Watch. 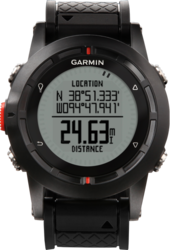 We are supplier of Garmin Fenix GPS Watches.Fenix Sapphire is the uncompromising GPS sport watch designed for demanding athletes and outdoor adventurers. We are dealing in Garmin Vivoactive Smart Watch. We are important supplier of Garmin GPS Running Watch. A GPS watch is a device with integrated GPS receiver that is worn as a single unit strapped onto a wrist, in the manner of a watch. The watch can have other features and capabilities depending on its intended purpose and be an smart watch. GPS watches are most often used for sports and fitness purposes. We are supplier of Garmin Forerunner GPS Watches. We are offering Garmin Forerunner 405 sport watch. We are engaged in supplying Garmin Sports Watch.